Axon Resourcing were asked to complete a tender to supply NHS Right Care, a programme delivered by NHS England to lead in the attraction, shortlisting and assessment to find 8x ‘delivery partners’. These were board level posts, paying a salary of £77850 -£98,453 (band9). The posts would be based in Leeds and London, but successful applicants would need to travel throughout England. A briefing meeting initiated the campaign with the client to understand the necessary experience, potential background of applicants and techniques that would be used to shortlist and assess candidates. At this meeting, it was recommended that a range of attraction methods would be necessary, which included advertising in national and specialist press, on-line job boards, as well as social media promotion through Twitter and LinkedIn. In addition, a number of individuals were specifically identified to headhunt where their skills and experience were known to be of relevance. A recruitment microsite was created to further engage applicants in the process which also provided them all with copies of the job description, in addition to a number of video presentations to further explain about the roles and organisation. Candidates were encouraged to speak with one of the consultants informally to understand more about the role, which also helped to identify the very best candidates were chased up close to close date if a response had not been received. Candidates were also sent acknowledgment of application within 24 hours with further confirmation of shortlisting process and when they would next hear from us. After close date, those meeting essential criteria were longlisted with the client, providing around 50 people for assessment. The assessment centre was designed and administered by Axon Resourcing, with a number of panels made up from senior leadership teams from NHS Right Care and the broader NHS. Assessment took place in three phases, psychometric testing was followed by two days of formal interviews, presentations and exercises. At each stage, highest scoring candidates were invited to progress whilst lower scorers were given feedback and asked to leave. The ‘wash-up’ meeting at the end of the second day of assessment identified that 18 of the candidates were appointable, and the eight scoring applicants were ultimately offered posts. The quality of those assessed was such that an additional business case was later made to make offers to another three candidates. The necessary pre-employment checks were also facilitated by Axon Resourcing. Axon Resourcing was approached by Warrington NHS FT to tender to be the external support in sourcing a new Finance Director after the incumbent Finance Director had resigned and was moving to another Trust. The Trust had just been put under a great deal of pressure from its regulators and was concerned about the ability to attract the right level of candidates to reflect its own ambitions and drive to continue to improve the local health care provided to its community. 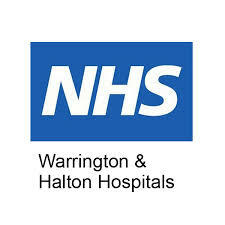 Due to the in depth knowledge of the North West NHS market and a strong network throughout the UK with strong networks in Yorkshire and the West and East Midlands, Axon Resourcing was successful in winning the tender to source a strong field of candidates for Warrington NHS FT.
A meeting was initiated between the Chief Executive of Warrington FT and Axon Resourcing to set out a campaign structure. All possible avenues to attract candidates were discussed from advertising in national and specialist press, on-line job boards, as well as social media promotion through Twitter, LinkedIn and a recruitment microsite. It was very quickly realised under the guidance of the Axon Resourcing consultant that it would have to be a head hunt led campaign over advertising to ensure that individuals applied. Axon Resourcing took a great deal of care in understanding the necessary experience and potential background of applicants. The Assessment included over two days of formal interviews, presentations and exercises and concluded in a candidate being recognised, offered and accepting. In a market where there is a great deal of uncertainty and individuals are wary and reticent to move it is essential to have that personal touch and for a consultant to approach candidates directly to ensure their application rather than waiting for people to respond through mere advertising campaigns.